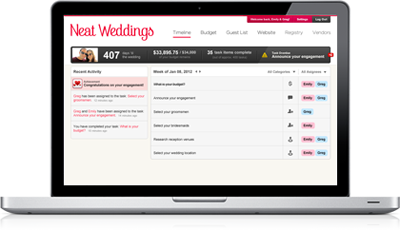 Neat Weddings - Wedding planning made easy. anyone can plan their dream wedding. Wedding planning is complicated, and you shouldn’t have to figure it all out from scratch. Where do you start? What do you do next? Let us guide you step-by-step through the process from engagement to honeymoon! Let us jump start your wedding planning today. Have a friend who's getting married?